Get maximum comfort without losing space. 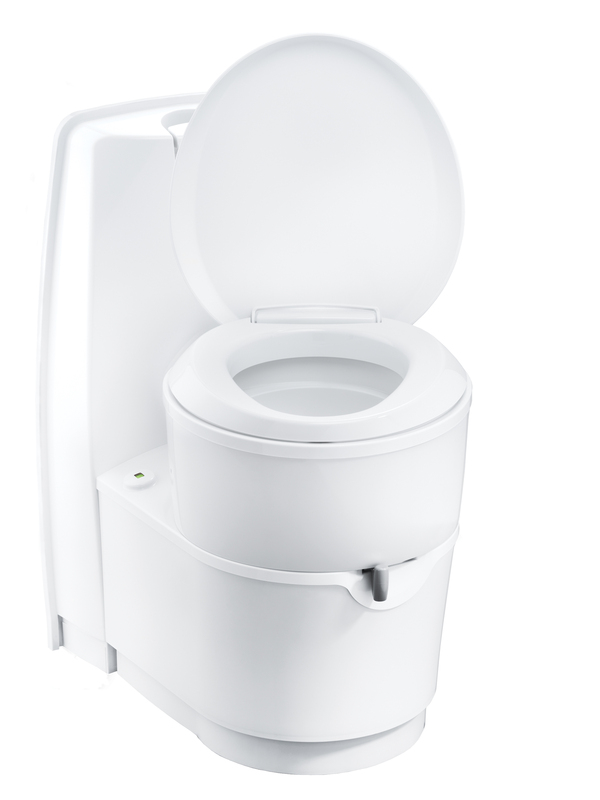 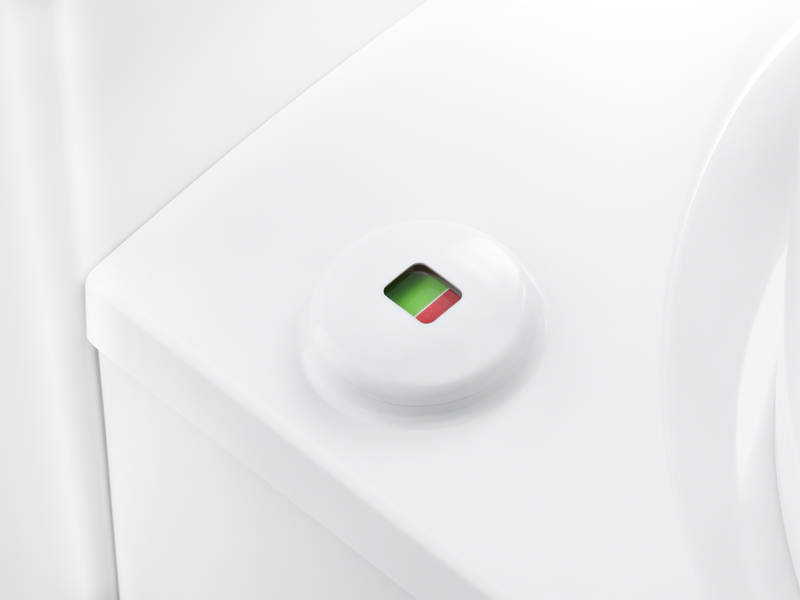 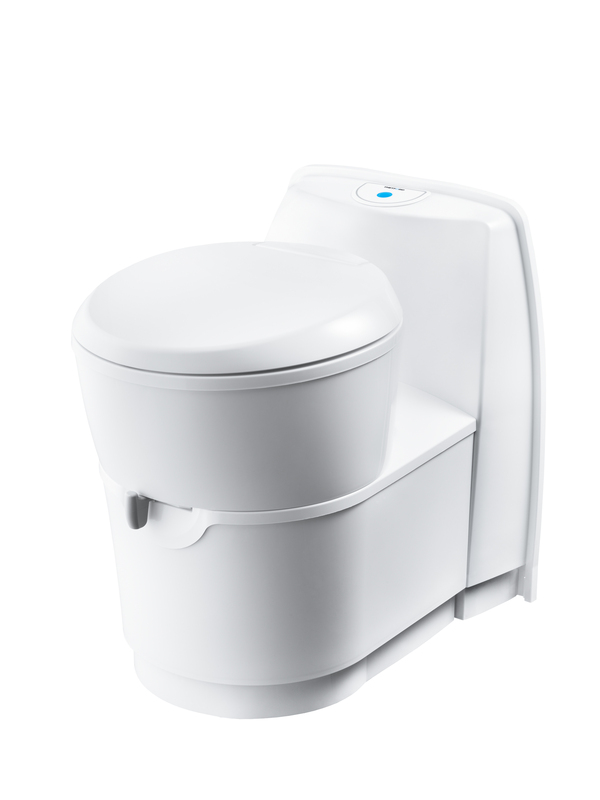 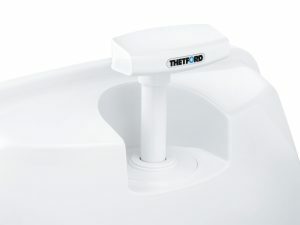 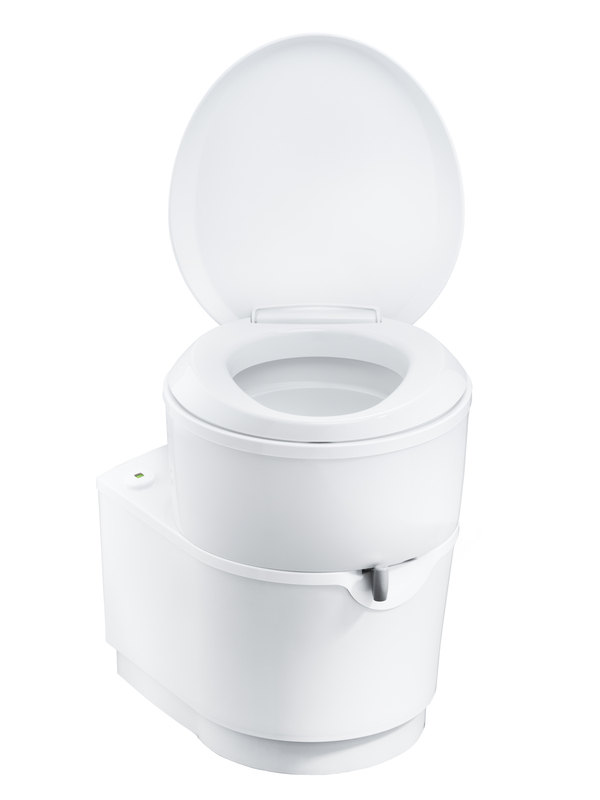 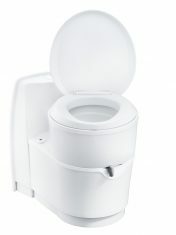 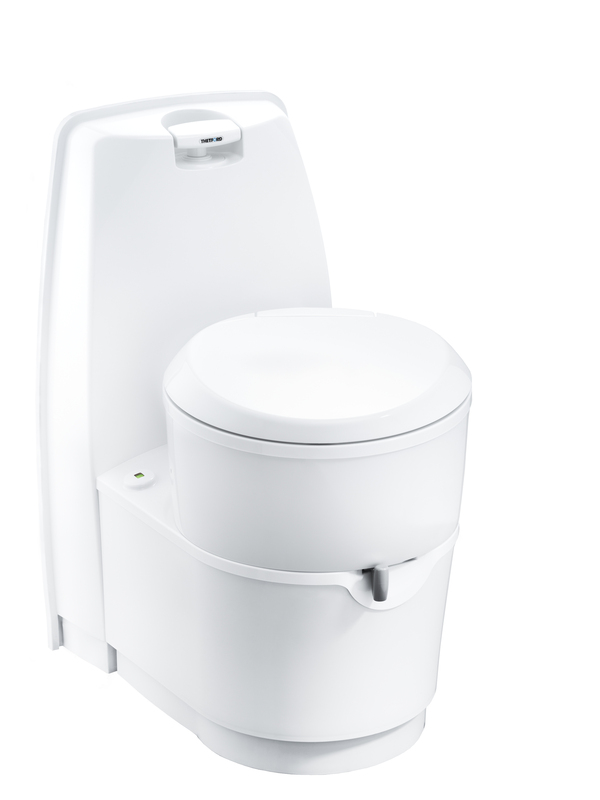 The toilet bowl revolves 180 degrees on the base and locks into place by simply pressing down on the seat. 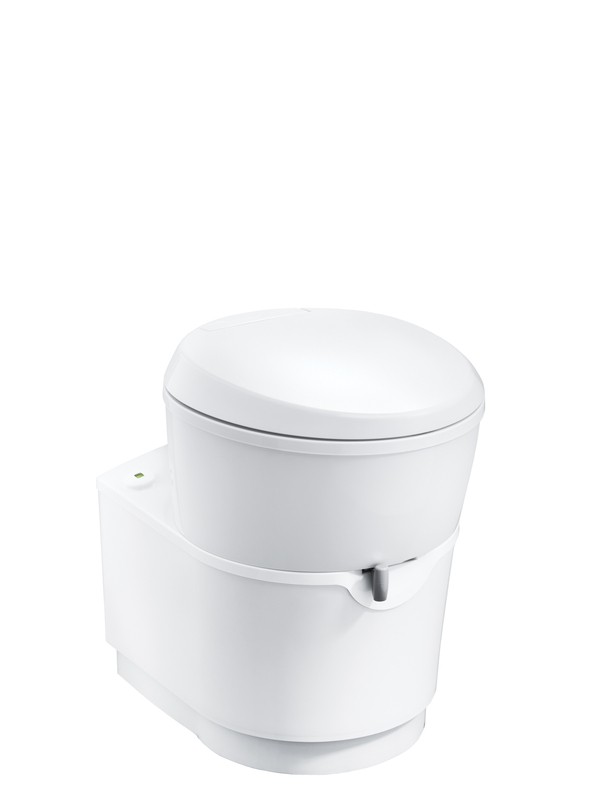 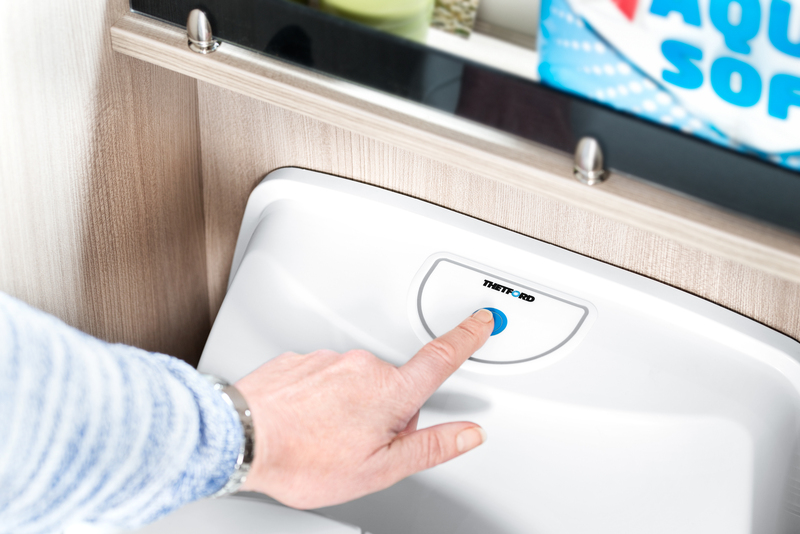 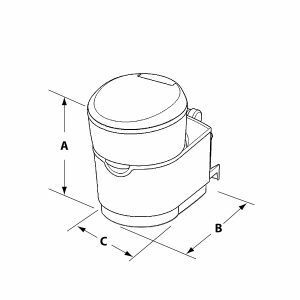 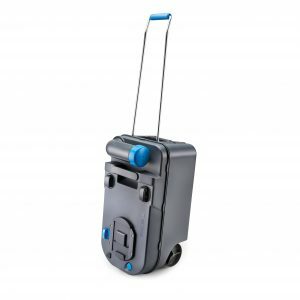 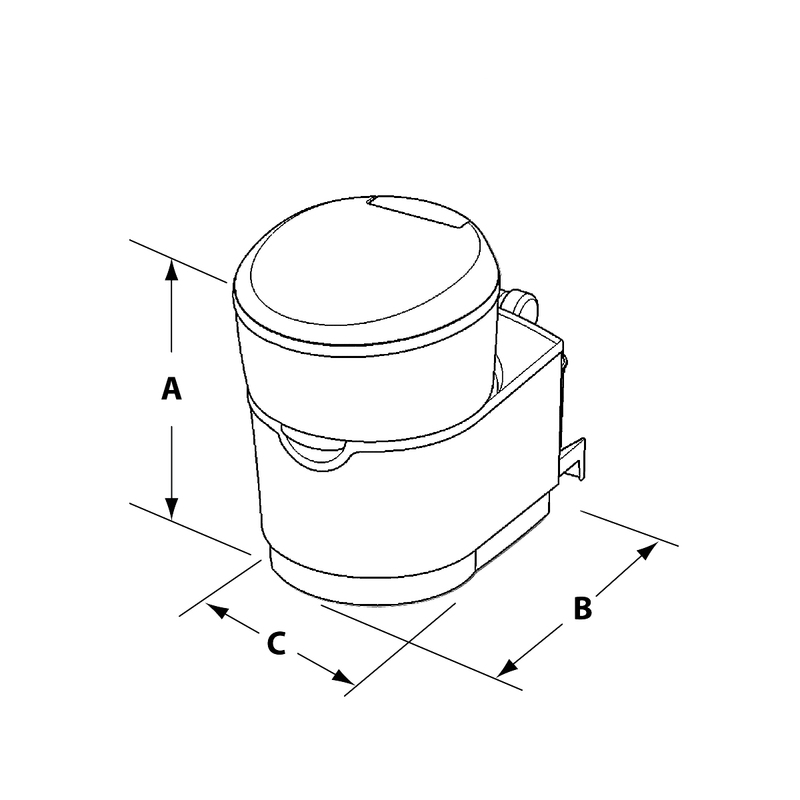 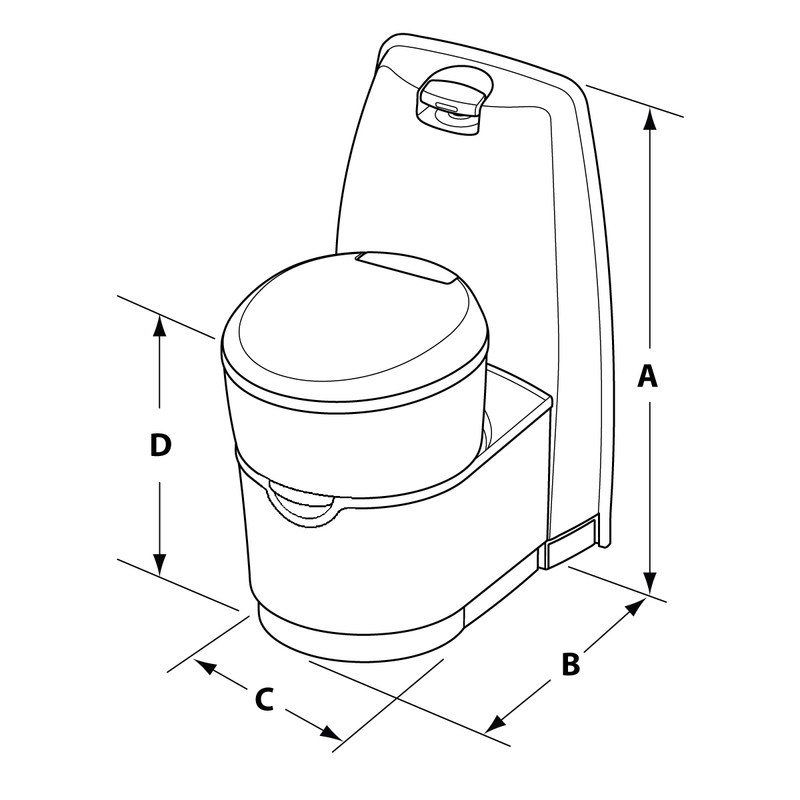 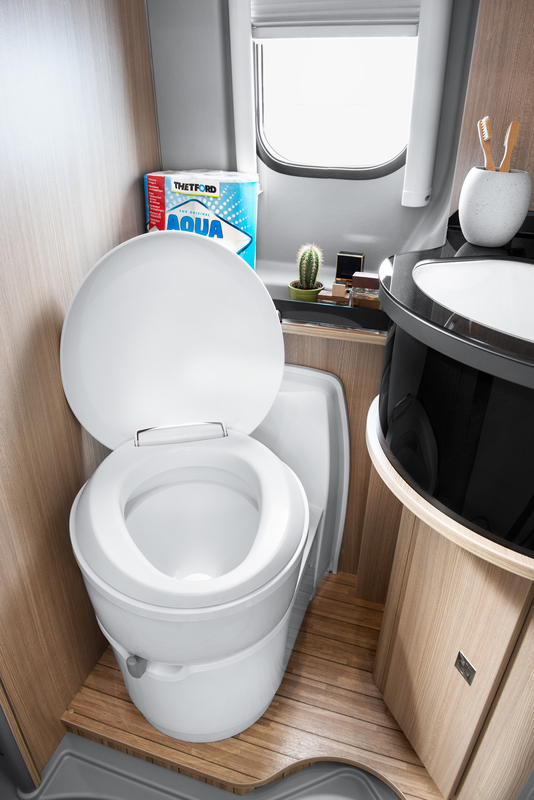 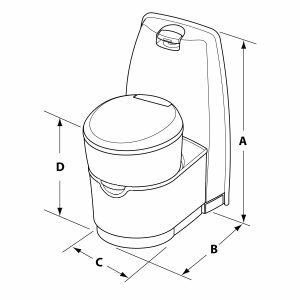 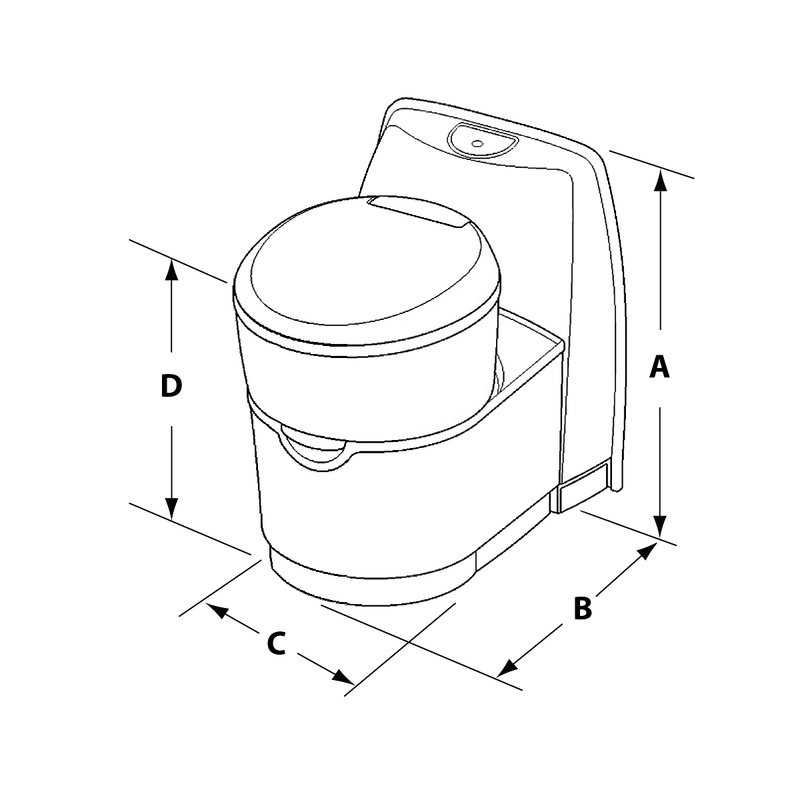 The C220 cassette toilet combines the built-in comfort of RV permanent toilets with the convenience of portable toilet and can be installed as a freestanding unit against any outer wall of the vehicle. This toilet is mounted against the wall, with water supply line coming through the back wall. 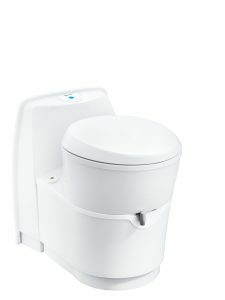 Note: Waterproof service door not included with model C223-S. Note: Waterproof service door not included with model C223-CS. 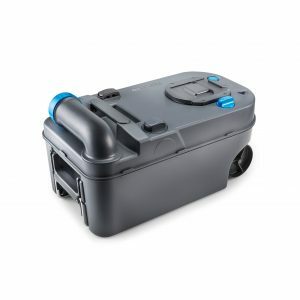 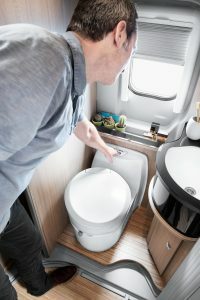 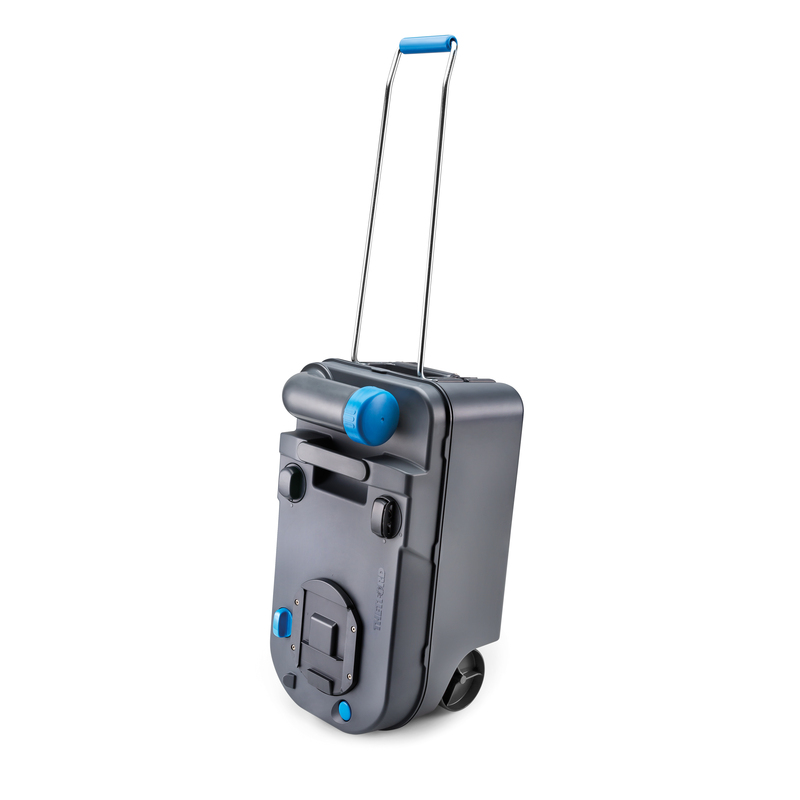 Model C224-CW offers the convenience of having a toilet inside the vehicle without connecting it to the RV fresh water tank, thanks to the integrated 2.37 gal. fresh water tank. Note: Waterproof service door included with model C224-CW. 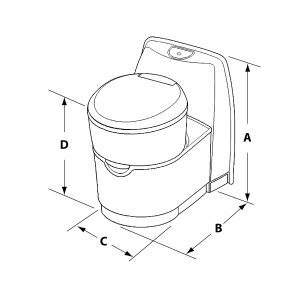 Caution: Do not use stiff brushes or homemade products to clean or lubricate the valve and seal of your cassette toilet, as these will damage the seals and surfaces, causing odors to escape from holding tanks. 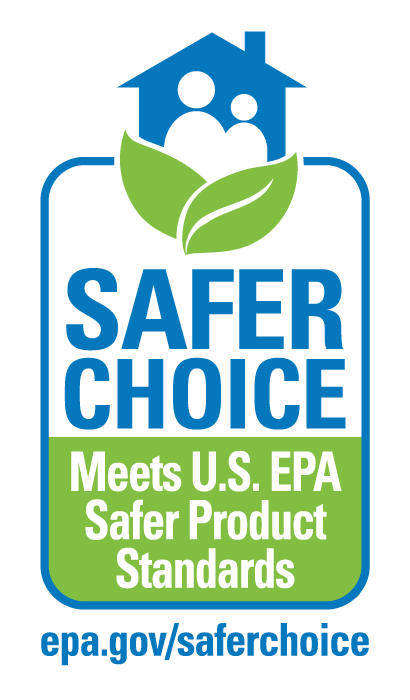 Thetford recommends using Aqua-Clean and toilet seal lubricants.